Grab a tissue. We pick up where we left off in yesterday’s post–sharing our sad book favorites. I bought And We Stay last summer because it earned a starred review somewhere. Knowing that the book was a tear-jerker, I never seemed in the right mood to go into the darkness with it. The book sat in silent judgment in my bookcase and stared at me as if saying, “Don’t be a baby, Donalyn. Get a tissue and get over here.” I dusted it and cared for it, but I didn’t read it. 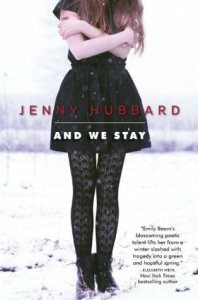 When And We Stay earned a Printz Honor last month, I knew I couldn’t put it off any longer. ARCs (advance reader copies) of books are a publisher’s way of promoting and spreading the word about an author’s upcoming work and believe me when I tell you, I consider myself a truly lucky reader whenever I have access to one. It’s like being in on an incredibly awesome secret when I get to read a copy of a yet-to-be-published piece of writing. Usually I acquire ARCs at regional and national conferences, but every once in a while, I am fortunate to personally communicate with an author, which makes reading their stories even more special. Such was the case when I responded to a post on social media by Cynthia Lord, author of Rules, Touch Blue, and the Hot Rod Hamster and Shelter Pet Squad series. 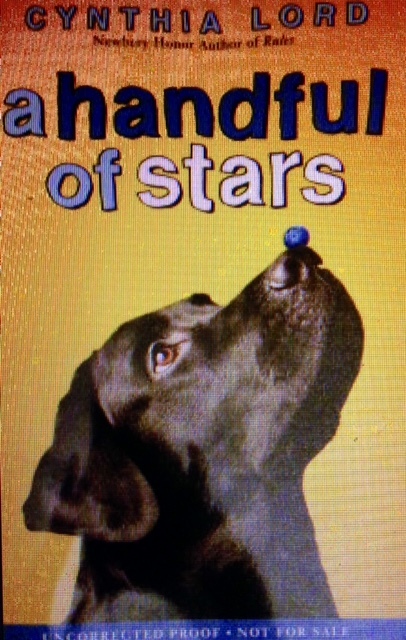 Cynthia had received a few ARCs of her newest book, A Handful of Stars, set to be released on May 26th this year. She proposed the idea of a book vine, sending the ARCs “on tour” to lucky readers willing to enjoy them for two weeks and then pass them along to the next reader on the list. Last week, I received a copy of A Handful of Stars from my “nerdy book friend,” Kate Sullivan, who was ahead of me on the book vine. I eagerly opened up the package and began reading right away. 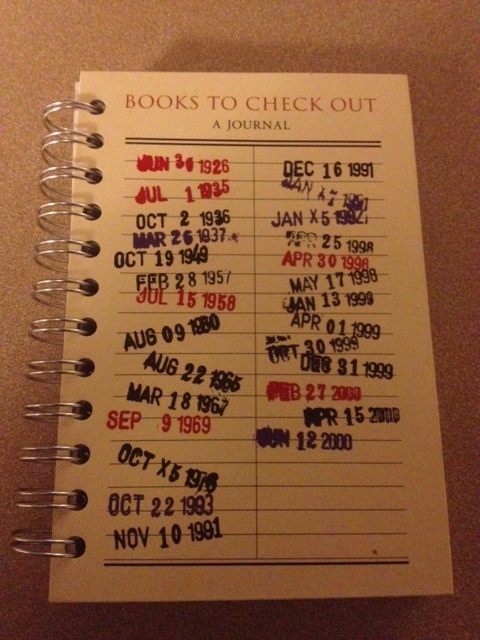 One thing I’ve learned from reading Cynthia’s books is that I like to have my writer’s notebook nearby. I have a whole section dedicated to capturing memorable, powerful quotes from my favorite authors. As I turned the pages of her latest book, I was glad I had notebook and pen handy. A Handful of Stars is a story filled with inspiration, friendship, and bravery. Lily meets Salma, the daughter of migrant workers, in Maine for the blueberry harvest, quite by luck- her dog, Lucky, that is. When Lucky, Lily’s blind black lab, takes off running across the blueberry barrens, the only thing that slows him down is the smell of Salma’s peanut butter sandwich. From there, a friendship is born.Lily and Salma share not only a friendship, but a sense of life’s losses and the hope of being ‘just a little bit braver than [they] are scared.” It’s hard, though, when an old friend of Lily’s re-enters the picture and Lily feels torn between her new friend Salma, who’s helping her raise money for an operation to restore Lucky’s sight, and Hannah, who’s been a bit pre-occupied lately, but has been her friend since the first day of kindergarten. As I drop the ARC into its mailing envelope and affix the address label to send it on its way back to Cynthia, I smile, and flip from the quote section of my notebook to the section titled, “My Book Bucket List.” I add A Handful of Stars and draw five tiny stars beside it. I can’t wait to share it with the young readers in my school this spring! As I sit here this morning in my hotel room at the Gaylord, waiting to pick up this year’s biggest wish list, a.k.a. the NCTE Convention Program, I’m reflecting on the fact that professional development opportunities such as this have evolved so much for me over the years. While it’s wonderful to go home with a few new ARCs in my suitcase to read and share with colleagues and students, it’s no longer about getting a haul of free stuff from the exhibitors that will surely throw my back out before I have a chance to unpack it back home. It’s about being particular in my choices and thinking intentionally about my purpose picking up what I do. We’ve all suffered from “conference high…” It’s hard not to. As we embark on this next leg of our professional journey this week in our nation’s capital, I encourage all my NCTE colleagues to be present, truly present, in the moments we are about to experience. Take time to say hello to strangers rather than worrying they will get a seat closer to the front than you. Take time to have conversations with new people and share your story with them. Take time to reflect upon the new thinking that you will have after these amazing sessions. Take time to think about how this experience will impact your instruction. Take time to lift your practice and not just lift ideas. That was the line I wanted to capture from the book I was reading, as I reached for my writer’s notebook today. I rummaged through my school bag and laptop case, but it was nowhere to be found. Thinking back, I remembered I’d left it with my camping gear from the long weekend spent in Evans Notch. I panicked. I clicked on the “stickies” application on my MacBook and hurriedly opened up a new note to capture my thoughts about the quote. Then I sat and reflected for a bit about how happy I was that being without my writer’s notebook actually caused me such anxiety. As strange as it sounds, I was experiencing a shift. In years past, I might have simply let the moment pass by and move on to the next item on my ‘to do’ list. This was good anxiety, I told myself. It meant my writing routines are evolving. My actions are becoming more intentional and habituated. 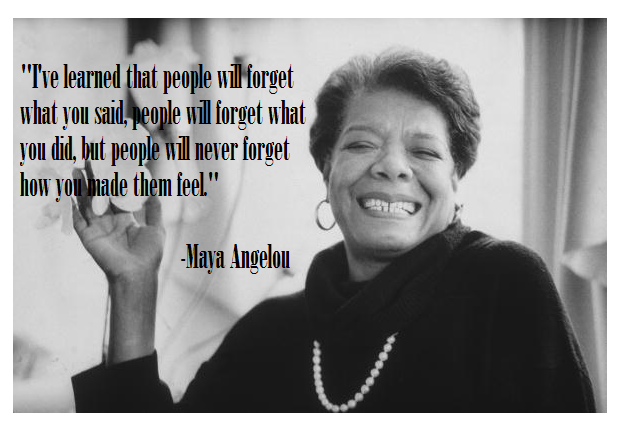 I was devastated to hear the news of Maya Angelou’s passing today. I can say without hesitation that her writing influenced my life in ways that no other writer ever has… or probably ever will. Half my writer’s notebooks are filled with her words- profound, unforgettable words that, like fireflies that light up the night, I wanted to capture and marvel at just a little longer. Knowing that her sentiments were protected between the binding of my notebooks and that I could return to them in the darkest of moments brought me great comfort. “Do the best you can until you know better. Then when you know better, do better.” Her wisdom is simple and true. This is one of my most favorite quotes. Today I discovered something about myself as a writer. And tomorrow, as a result, hopefully I will do better. No words are truly original. It’s how we say them and the order in which we align them that enable us to call them our ‘own.’ Dr. Angelou certainly knew how to weave ordinary words together so they read like golden tapestries. Tears spilled from my eyes today. Thank you, Maya Angelou, for inspiring me to be a better writer and a better human being. I strongly believe that in order to be an effective reading teacher, I need to read. And read. And read. Somehow though, for a long time there was disconnect for me in that same regard with writing. In the past year, I’ve come to realize that in order to effectively teach writing, I need to write. And write. And write. I need to make the writing process as transparent for students as I can and a big part of that is talking with them about my own successes and struggles as a writer. Too many students already feel that school is something that is done to them. If they can’t see the people in their lives utilizing the skills that we require them to attempt, motivation and engagement will be minimal at best. Lately, my most consistent writing has occurred on Monday nights. That’s the night I teach a graduate course on intermediate literacy. Eight teachers join me for three hours, after they have taught all day, to discuss reading and writing instructional practices. Each class begins with time to journal and reflect upon the previous week’s professional reading. They write. I write. And then we share our writing with one another and write feedback for each other. Yesterday during an opportunity to turn and talk, I pulled out my notebook and shared with colleagues how valuable I felt the experience was for me and how much I have learned from these teachers through the use of journaling. One of the people at my table happened to be a teacher in the course. It was thrilling to hear her say how much she appreciated the chance to start our weekly sessions by joining together in reflection through the written word. 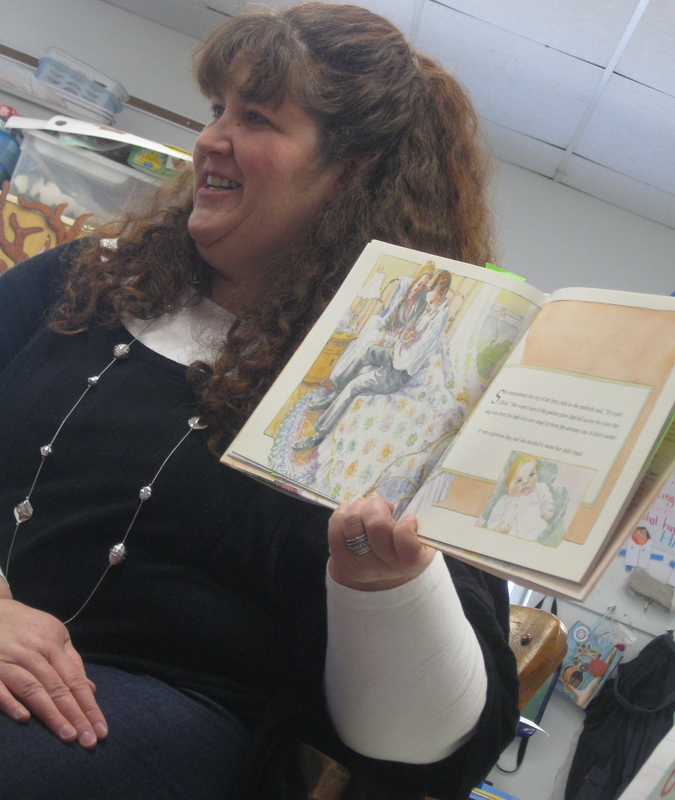 Penny often invites her students to write in response to a poem, rather than about a poem. They read and listen to a poem and think about a particular part that speaks to them or that they feel they have something to say about. Or they might try writing in the author’s style to compose a piece of their own. She then asked us to write, in the style of Anis Mojgani, a poem for those who need someone to stand up for them. Here is mine. because he’s forgotten whose day it is to be his parent. because that money had to go to heat the house last month. over the sound of someone’s reprimands about incomplete homework. because her classmates say her clothes smell bad, holding their noses as they pass. because it’s easier than being wrong. This is is for you. You are the reason we rise every morning and lose sleep every night. call home with the good news, and accept hugs that policies say we shouldn’t. more than the bubble you filled in without going outside the lines. You are unique. You are valuable. You matter. You are loved. Write. Write often and much. Write about the good stuff, but write about the sad stuff, too; it’s just as important. Write with your kids and write for yourself. First of all, please forgive my blog absence of the last few months! I went from presenting at the annual Literacy For All Conference in Providence, RI to presenting at the NCTE Convention two weeks after that. A week and a half later, I was on the operating table having back surgery. And now, here I am, back at school for a little over a month. Suffice it to say, it’s been a whirlwind! 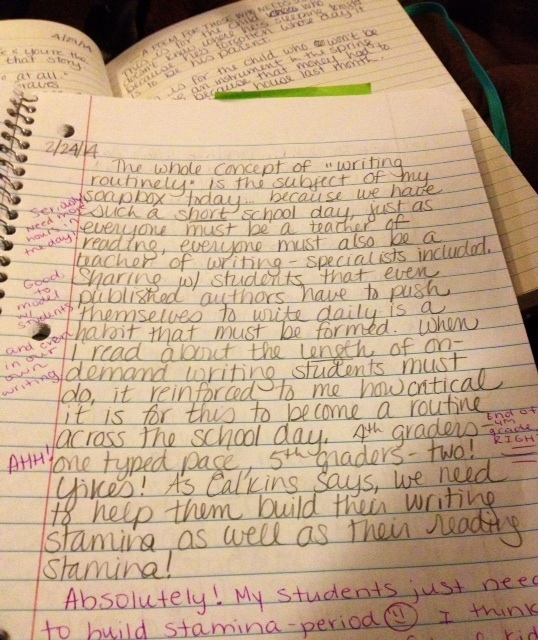 For my next several posts, I will be sharing some of my learning from both LFA and NCTE. are to be studied and imitated. help students make powerful connections to their own lives. help students take risks and try out new strategies. should be books that students can relate to and can read either independently or with some support. become friends that nudge writers forward. are 15-25 books to return to over the course of the year. should be kept on hand to be used during conferring. I remember 3rd grade student in my class several years ago who, after we had spent several lessons using Lester Laminack’s, Saturdays and Teacakes, would go over to our mentor text bin during writing workshop and pore over that book day after day, rereading the pages that sparked our lesson’s focus and returning to her own writing to see where she could try it, too. The more she shared her pieces with her peers, the more students could hear that her strategy of studying and imitating the text was shifting her writing. All too often, students have the belief that rereading books is not beneficial for them. And, really, to what extent do we as teachers reinforce that belief? SOmetimes I find myself so anxious to share a new, hot title with a student that I forget that it is also important to model and talk about rereading texts, perhaps for a different purpose. I know I do that in mini-lessons, but how often do I talk about it when sharing my personal reading life? I love the idea of keeping mentor texts on hand to be used during conferences with students! Thinking about taking it a step further, I may make some notes on stickies to tuck inside the cover about specific teaching points that may or may not be brought up during mini-lessons, but to which I could refer during a one-on-one conference. In my coaching life, I use the back inside covers of professional texts to record pages where possible teaching lifts can be found so that I can locate them quickly and efficiently. It seems this would be very helpful, especially in novels, in order to locate teaching points with ease when conferring with students. A question that came up during our session was if the terms teachers and mentors could be used interchangeably. Rose thought about that for a while and replied, “Mentors are teachers, but not all teachers are mentors. When we are standing there beside them, doing it along with them, then we are a mentor…” An apt statement, I think. What are some mentor texts that are the ‘work horses’ in your classroom? In every spare minute of time I’ve had with students for the past month that hasn’t included standardized testing, I’ve tried to talk books with them. I’d recently given them a reading interest survey and when I was conferencing with them individually about their responses, one thing struck me as being the same among all of them. 3) they simply left it blank. The beginning of our year was very exciting, particularly with the “Grand Opening” of our classroom library. I cordoned off the shelves with yellow CAUTION tape and we utilized the first couple weeks of school to become researchers in our own library. We had mini-lessons about how it was categorized and the maintenance and care of the library, while pulling out a few labeled bins at a time to scour the contents, and share with each other titles, authors, and series of interest that the kids wanted to read or recommend to others. The library officially opened, students enthusiastically engaged with texts, and reading stamina was rising. Things were on a roll. But that’s not good enough. As a reader, I am constantly getting recommendations from friends, family, colleagues, and students about books or authors they think I should check out. If I don’t happen to have my iPhone with me, I frantically grab for a pen and piece of paper so that I can record those recommendations to prevent them from becoming lost in the daily minutia that’s filed in my brain. Enter… my To Be Read List. My TBR List is a critical tool for my reading life. It keeps me going… it fuels my literary fire. It prevents me from falling into reading slumps. It gives me options and a plan, when I may not be able to decide where I want to focus my attention next as a reader. My TBR List keeps me current with new and popular books and authors. It keeps me in touch with what my friends and colleagues are reading, as they share theirs with me and vice versa. So to hear that my students weren’t formulating a plan for where they were headed next as readers meant that I had to re-examine my instruction. I needed to help them understand what an important lifelong strategy… what an important habit it is. I shared my TBR List with them. I shared the stories that led to the stories on my list- how each title had “made the cut,” how I categorize my reads: personal, professional, & children’s texts. We talked about the benefit of having those written down, in order to be an efficient, well-prepared reader. I also shared with them the times that I chose to edit my list… moving titles up or down on it, adding to it, deleting from it. Each student got their own blank TBR List to be kept in their reader’s/writer’s notebook. We dedicated an afternoon to crafting our TBRs and when we were finished, we talked about our choices. I even added a couple more books to my own list that day. One student, who has not truly viewed herself as a reader prior to this year, happily shared with me 7 titles she had added, through browsing and talking with others. Students are now diligently maintaining their TBRs and as we come together for book talks, we make sure to bring them with us, pencil in hand, poised for the next great addition to our reading life plan. prior to switching over to my iPhone. Old school, but I still love it! “Plees taik kair of Jacob. Despite wondering, as I turned each page, what was going to become of Jacob and when his “people” were going to return, I also became intrigued by his many special talents and idiosncrasies. Unable to speak, Jacob has an uncanny way of communicating with animals and unique artistic abilities. During Jacob’s visit, Marta and John are individually transformed and their life as a couple undergoes a dramatic change as well. They become a family. But the question always looms… How long will Jacob stay and how long can their family last? Sharon Creech creates a tale with with a sense of urgency and mystery on every page. 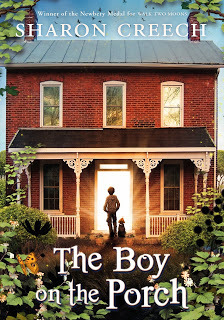 For that reason, “The Boy on the Porch” would make a wonderful read aloud for third and fourth graders and a delightful independent read for fifth and sixth graders, or for that matter, readers of all ages! 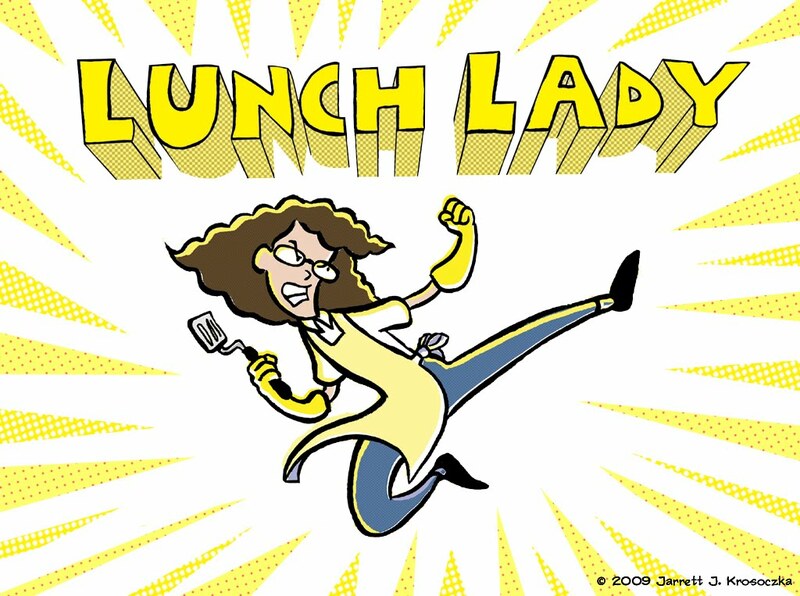 The other new (to me) series that I’ve been reading is the Lunch Lady series by Jarrett Krosoczka. This graphic novel series is hilarious and totally accessible for readers in grades 2 and up! Boys and girls alike will find these books enjoyable and funny. 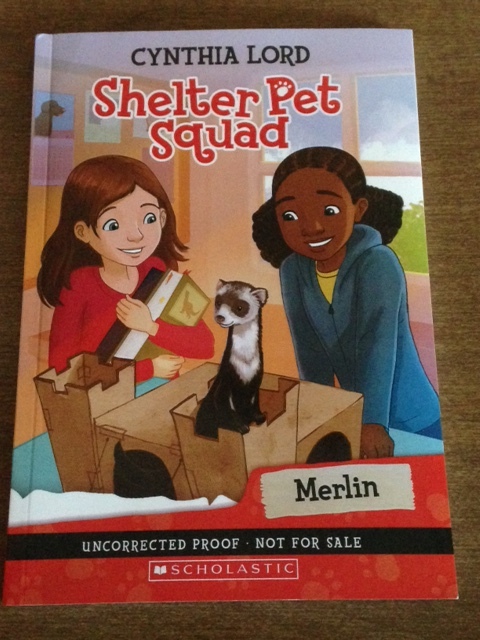 Hector, Dee, and Terrance team up in Book #1 to discover the mystery behind the school superhero with a spatula. As the book says, “she’s not only serving up lunch, she’s serving up justice!” I just purchased the first five books in the series and I can’t wait to share them with my students! That’s it for this week… I’m hoping to get more reading in this week, as I have some new titles on their way! I am so excited to share with you what I’ve been reading this week! One of my favorite (and my students’ favorite!) authors had a “book birthday” on Thursday! Ame Dyckman, author of “Boy + Bot,” released her second picture book, “Tea Party Rules” and I have been so anxious to read it. A wayward bear cub’s nose leads him to some yummy cookies and a young girl’s backyard tea party. 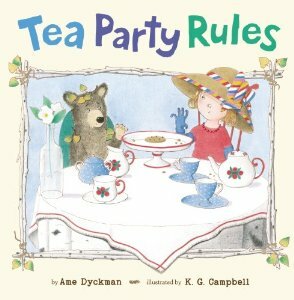 Cub quickly realizes that there are certain rules- tea party rules- that he must follow. Will Cub comply with the girl’s code of conduct in order to snag the delicious treats or is it all too much for him to bear? (ok, pun intended!) The illustrator, K.G. Campbell, uses wonderful pastel hues done in colored pencil which contribute greatly to the mood of this lighthearted tale. Tea Party Rules is a delightfully giggly book about friendship, imagination, and childhood fun! “…researchers have now discovered that, more than smaller class size, more than better funding, more than higher standards or benchmarks, what affects student performance the most is the classroom teacher” (p. 2). 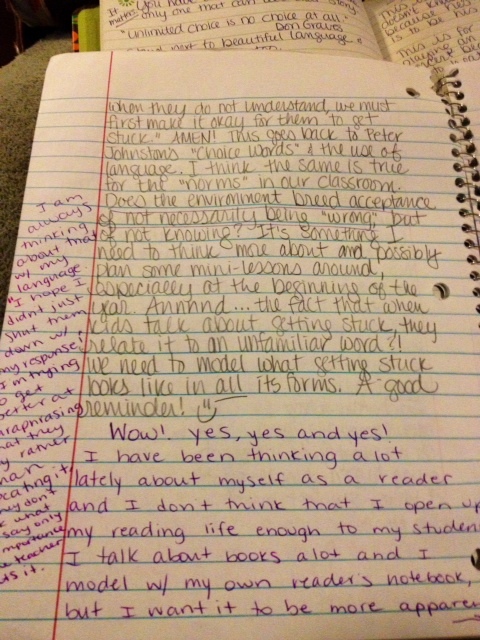 “…we don’t want students to take on or consume our own interpretations of texts; we want them to construct their own. This means that we need to teach each student the way readers think as they read, not what to think, helping them to experience texts as readers, rather than putting specific thoughts about a text in their heads” (p. 7). Another aspect of reading that Barnhouse and Vinton address is the issue of a declining focus on narrative texts. With the implementation of the Common Core State Standards and the call for students to be college and career ready, there has been increased concentration on expository texts. However, the authors point out that instruction on narrative texts is imperative for several reasons. They are the texts that contain several layers of meaning and, as a result, lead to deeper thinking and higher levels of comprehension. The authors state that narratives are also a vehicle for teaching empathy… readers get a chance to become someone else, live their lives through another character, and learn from that experience. “This is no small matter in educating students who will be citizens, leaders, and caretakers of our world” (p. 11). I can’t wait to delve deeper into this book!